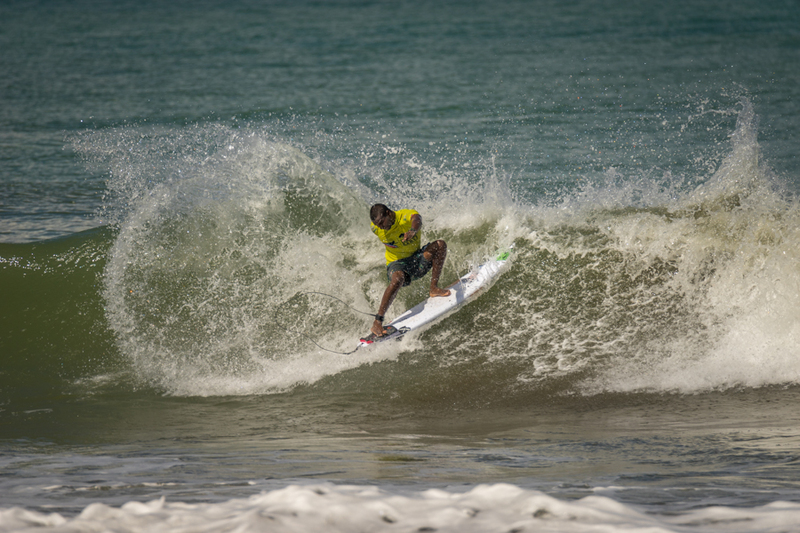 The 2016 INS ISA World Surfing Games got off to an explosive start on the first day of competition at Playa Jacó, Costa Rica as the Open Men competitors from the 26 National Surfing Teams put their high performance surfing on display. The field of 96 men completed a marathon day of 24 heats in tricky, 2-4 foot surf with thousands of spectators present to witness the world-class competition and support their nations. National flags littered the beach and national chants rung out as the countries supported their athletes in the water. 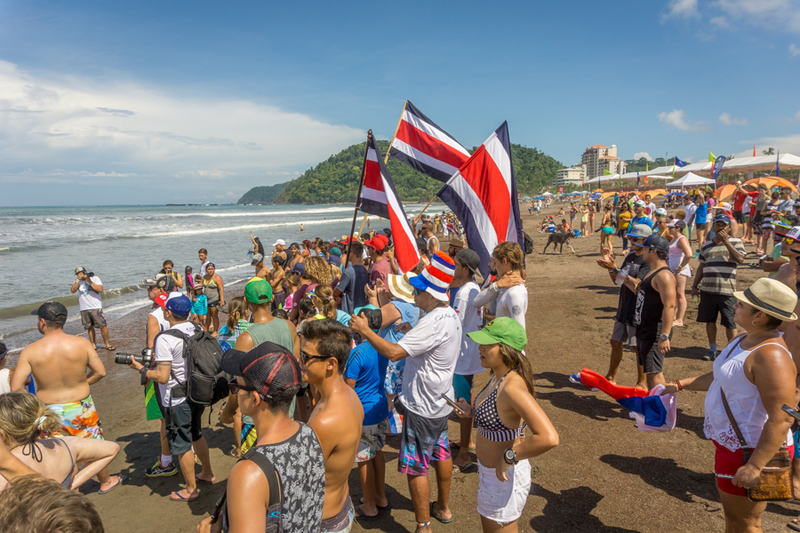 The local Team Costa Rica did not disappoint the crowd who came out to provide support, as all four male athletes passed through their Round 1 heats and were greeted by swarms of fans as they came out of the water. 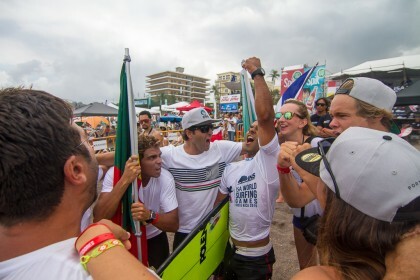 Carlos Muñoz led the strong charge for Team Costa Rica, navigating the tricky, beach-break conditions with expertise and notching a heat score of 16.83. Portugal’s Guilherme Fonseca, who took first place in the fourth heat of the morning with a total of 13.04, commented on his experience at the ISA World Championship in Costa Rica. ISA President Fernando Aguerre, is currently in Rio attending the 2016 Olympic Games following the International Olympic Committee’s decision earlier in the week to include Surfing in the 2020 Tokyo Olympic Games. He followed the competitions on the webcast and spoke about the start of the action. “What an amazing start to the competition! I was particularly impressed by the enthusiasm from the local Costa Rican surfing fans who numbered well into the thousands. 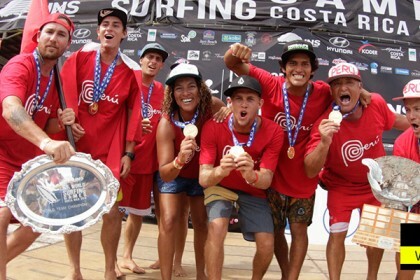 They supported their surfers all day long and showed the utmost respect and sportsmanship for the visiting nations throughout the whole day of competition. Due to the unique format of ISA World Championships, no one has been eliminated yet from the competition. Those that received 3rd and 4th in their heats will fall to the Repechage Round where they have a second chance to compete. However, a Repechage loss leads to elimination. Those that received 1st and 2nd continue through to Round 2 of the Main Event. Surfline, the event’s official forecaster, predicts the Southwest swell mix to hold on day 2 of competition, providing plenty of contestable surf. Looking ahead in the contest period, a new swell is set to fill in on Wednesday, August 9, and show more size on Thursday, August 10. *Times in local Costa Rica time.